University of North Dakota Spirit Award Winner. University of North Dakota. Spring Semester 2014. Distinguished Undergraduate Teaching Award Nomination University of North Dakota, Fall Semester 2013. Distinguished Undergraduate Teaching Award Nomination University of North Dakota, Fall Semester 2012. Distinguished Graduate Teaching Award Nomination University of North Dakota, Fall Semester 2011. ARTS & SCIENCES 252 Introduction to Canadian Studies (Spring 2013, Spring 2014). COM 300 Concepts in New Media, University of Washington, Summer 2006. FREN 101, 102, 114, 201, 202. University of Washington 2004-2005. Courses taught in French. Associate Professor of Communication, Department of Communication, University of North Dakota. CIO Emeritus, Association for Canadian Studies in the United States (ACSUS). 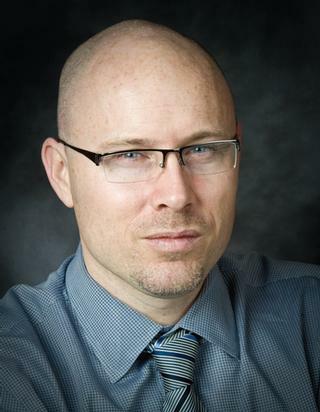 Pasch, T.J.; Principal Investigator (2018-2020). National Science Foundation Funded Project No: 1758781. $166,322; University of North Dakota. ”EAGER: Collaborative Research: Developing and Testing an Incubator for Digital Entrepreneurship in Remote Communities,”. Collaboratively with Kuhlke, Olaf; Co-Principal Investigator, Project No: 1758814 $139,721; University of Minnesota Duluth. Pasch, T. J., Bjerklie, D. (2017). TIME Magazine Special Edition: "The Science of Happiness". In TIME Magazine (Ed. ), Special Edition: The Science of Childhood (pp. 54-57, https://www.amazon.com/TIME-Science-Childhood-Inside-Younger/dp/1683301838). TIME Inc. Specials. Atlas.ti/Nvivo for qualitative and data mining research and analysis. Reading Comprehension in Latin, Italian, Spanish, Portuguese. Additional academic references and information available upon request. Dr. Timothy J. Pasch, Ph.D.
My name is Timothy Pasch, and as many of us in the Department do, I bring a variety of mixed experiences and abilities/interests to our table. It is my hope to provide some background that may assist students, colleagues and collaborators as we work together on teaching, research and service. A study abroad year in Montpellier, France was spent engrossed in French literary theory at Paul Valéry III, http://www.univ-montp3.fr while working as studio engineer and creating live electronic musical performances at the city's largest music store: again showing (what I have come to understand in retrospect) a pattern of a strong interest in both the humanities, and the technical. Realizing that the program was more purely technical and electronic than creative however, I accepted an opportunity to live and work in Kyoto, Japan, as I was heavily engaged with Eastern philosophical traditions at the time, primarily Mahayana Buddhism and Aikido. While there I began my initial Japanese studies that continue to this day, continued my work with audio (especially with the Korg corporation), and became passionate about photography and imaging, taking imaging courses in Tokyo and working primarily with Minolta and Nikon film cameras (now my preference is Canon). After three years in Japan I was offered a position at the University of Hawaii as a lecturer in French (for training Hawaiian/French Polynesian social workers) and also attending conferences and events at the East-West center while acquiring my M.A. in comparative literature (focus on post-colonial studies, comparative theoretical studies, and area studies of Japan and the francophone diaspora). While at the University of Hawaii I completed my studies to become a mixed-gas technical scuba diving instructor, and became professionally involved in deep-water photography and videography. I was also technician for the Mac Lab in the College of Languages, Linguistics and Literatures, and worked on some Mac-related language preservation projects. An opportunity to meet and discuss with esteemed post-colonial theorist Gayatri Chakravorty Spivak during an interdisciplinary conference that I co-chaired at the UH-Manoa helped me to see the colonial aspects in much of my life experience, including my Franco-Manitoban background on my mother's side, and experiences in the Asia/Pacific region. Based on my own sense of the loss of the French language in many parts of Canada and the United States, I came to strongly believe in the goal of the empowerment and preservation of traditional languages and cultures. In particular, I became passionate in the goal of assisting others towards mastering digital/technical means of better interpreting media while becoming aware of media biases; and towards this goal I entered the University of Washington's Department of Communication with the goal of earn my doctorate with the esteemed faculty there. In Seattle, I was exposed to colleagues from Apple, Microsoft, Google, and Adobe, and in addition to teaching I became a technical (Mac-based) consultant for the Center for Social Scientific Computation and Research for the College of Arts and Sciences. In an attempt to learn all three official languages of Canada and Nunavut, I completed language studies in Inuktitut in preparation for my fieldwork in the Canadian Arctic. This fieldwork in Nunavik and Nunavut resulted in the great blessing of developing lifelong friendships with Inuit colleagues in many communities in the Canadian North. Through the significant assistance of many both at the University of Washington and in both the US and Canadian public service, I was able to complete research resulting in an approved dissertation focused on ramifications of social media on language, culture and governmental policy. I was hired at the University of North Dakota in Grand Forks in Fall of 2009 to serve as Assistant Professor of Communication (tenure track). Prior to earning tenure I was awarded the University of North Dakota Spirit Award by the UND Alumni Association, and Outstanding UND Faculty Member of the Year by the National Academic Greek Honor Society. Working with colleagues in North Dakota, Minnesota and in the Canadian Arctic I organized a major Arctic conference at the UND Center for Innovation attended by academic and political dignitaries from numerous countries. I organized numerous US/Canadian student exchanges at UND including to Canada and Japan. I earned tenure in 2015 and was immediately promoted to Associate Professor at that time. From 2015-2018 I served as Department Chair, transitioning Communication at UND to Department status, co-designing and gaining funding for the innovative DigiComm research and teaching lab, and hiring over 15 successful faculty and staff members. In 2018 I was awarded funding from the National Science Foundation for US/Canadian Arctic research into digitally-assisted cultural entrepreneurship, and am presently working on research and creative activity leading to promotion to Full Professor rank. In my research specifically, I have transitioned from primarily theoretical reflections on the importance of strengthening traditional languages, cultures, and shared histories/skills, to more focused practical applications digitally assisting communities and organizations towards sustainable remote-region cultural economic development. I count myself privileged in my experience to have worked with and learned from numerous mentors, colleagues, students and friends from many regions globally. It is my goal to continue to discover areas of intersection between aspects of my experience with my teaching and research at the University of North Dakota, in the community of Grand Forks, and Nationally/Internationally. I believe that the best teaching goes beyond the unidirectional concept of a professor transmitting information to students. In my estimation, the purpose of an educator in the discipline of Communication is to create a stimulating intellectual environment for the exchange of information, with continual awareness of applicability to the student’s career path and future demands of industry. In my experience, motivation suffers when students are required to study material with which they feel little affinity, or that contains no applicability to their personal and professional learning goals. In order to link theory to student experience and employability, my course design continuously strives to demonstrate a relationship between theory and practice. Accomplishing this goal is a continual work in progress, and I work to implement creative and innovative ways to relate student learning to new technological and social developments. The essence of my teaching philosophy is to require student participation not only as active learners, but also as teachers and sharers of their own experiences. In my courses, students are encouraged, and often required to actively participate in their learning communities, preparing assignments (often digitally), that are designed to educate, persuade, and hone their content creation skills in a professional, respectful and rigorous learning environment. In addition to active student participation, a hallmark of my classes is the high quality of external, professional speakers I recruit to present to the students. Some examples of speakers whom have visited my classes include Alumni from our Department now active in industry, guests from technology firms including Microsoft, Amazon, DigiKey and other media industry professionals. Most recently, professional graphic designers spoke to my students and gave demonstrations of their software workflows. Visits to the Skalicky Technology Incubator here at UND exposed student learners to real-world applications of their areas of study. When teaching a large-format (over 120 student) undergraduate Communication class, I have brought guest speakers into our room digitally using virtual/augmented reality technology, while streaming content simultaneously to online students. I have also enabled this type of communication with guests engaging with our students from international locations, which the students found to be truly engaging. When students see the applicability of the theories and technologies they study to the careers they seek, their motivation is never a concern, and their passion and desire for excellence increases dramatically. I am proud of the fact that my course evaluations at the University of Washington were commended by both my Department Chair and the Dean of the College of Arts and Sciences there, and that my evaluations at the University of North Dakota have demonstrated similar commentary from students and Distinguished Teaching Awards/UND Spirit Award. With this said however I certainly cannot take full credit for these accolades, as so much of my past evaluation is related to the fact that the students in my classes also learn from each other and teach me in the process. I consider myself primarily a facilitator of knowledge rather than its sole source in the classroom. As an information and communication technologist, I realize that knowledge of advanced computer software packages is essential for success in communication industries. That said, a focus solely on the complexity of technology (without understanding the underlying theories) can certainly detract from the learning experience. My teaching involves the incorporation of technologies designed to enhance the teaching and learning component of the course material without obscuring course content. In the past years, I have been increasingly using advanced technologies such as collaborative workstations and virtualization to enhance student learning of the Adobe Creative Cloud, Qualtrics, Citrix, SPSS, and other software packages. My training in scholarly research database and citation software proves its value during my courses as I work with students and resolve software concerns related to qualitative and quantitative data analysis, international/intercultural communication, social network strategy, data visualization, and video and audio production among other areas from an expanding list that continues to grow as my own knowledge, capabilities of industry, and student demands evolve. I am fully aware that many students will have less experience in technological areas than others, and I work to adapt my teaching to specific student requirements. In my graduate courses, students participate in Blackboard forums, blogs and virtual discussion groups in order to stimulate discussion and debate among their peers, and to use their newly-assimilated theoretical and methodological knowledge to prove their hypotheses. Students additionally access peer-reviewed academic journal articles to hone their perspective, while simultaneously improving their database query and information retrieval skills. When creating their final projects, or working in teams, students in my classes use digital technologies to present their information. In past courses these presentations have ranged from simple Powerpoint or Keynote presentations, through advanced digital portfolios with streaming video and audio. The range and scope of the tools employed will depend on student skill and interest, and I strive to be available for consultation and assistance in these areas. Positivity is an essential component of my teaching philosophy, and I am rigorous with my positivity: meaning that I continually strive to perceive challenges as opportunities, and treat student questions with respect and intellectual consideration. I endeavor to continually remind myself that any question asked, no matter how seemingly elementary, has value; and that the act of asking such questions takes initiative and courage. I believe that the relationship between educator and student is a relationship of trust, and that the effectiveness of the educator is more than simply the quantity of information shared in the classroom, but rather, should be measured as a continuum that extends through into pedagogical acumen, approachability, professional decorum, and personality as well. I have been told at times in the past that I am an effective teacher, however I do not believe this to be entirely due to my own efforts. I believe rather that my greatest asset in the classroom lies in my ability to listen. Through active listening to students, and understanding intuitively to the best of my ability the communication that the student is seeking to impart, I strive to create a professional, academically rigorous, and emotionally satisfying learning environment. It is within such an optimal learning environment that each student might take their knowledge and skill to a higher level, preparing them for success in the field of their choosing. Published and currently visible on the UND website as one of the major “Leaders in Action” student exposés, the link below showcases top student experiences at UND selected by the Marketing Council and UND Web Team. I received letters of congratulation from the Dean, University President and Provost regarding this article and my innovative teaching after its appearance on the University’s website. The article appears below. Respectfully, Timothy J. Pasch, Ph.D.